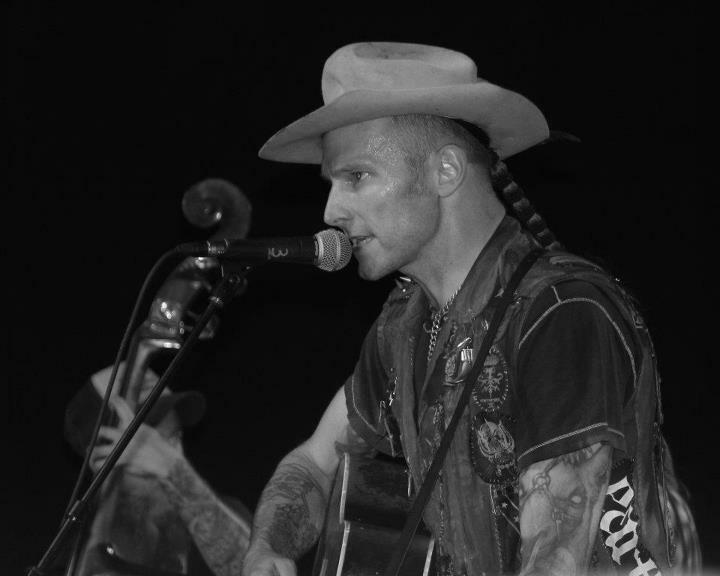 Hank Williams III has been known for years as a big advocate for animals, taking in strays and using his celebrity status to find them new homes, and partnering with Happy Tails Humane in Franklin, TN to raise awareness and money for the no kill shelter. On Friday August 3rd Hank3 played his 4th Happy Tails concert benefit at the Marathon Music Works in Nashville, a newer venue who donated the space for the event. Dubbed “One Big Wag,” Hank3 and his fans raised a whopping $18,000 for Happy Tails, the most money Hank3 has pulled in for a Happy Tails event so far. 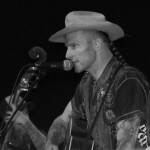 Hank3 will be leaving on a Texas/West Coast tour in a few days. I was there. Absolutely great show. Hank 3 was on fire. People are indifferent to Hank 3….I say this, more then anything else, YOU must see him live before you fully judge if you like him or not. I hate to be cliche and say, “He is soooo good live.” but I’ve never seen an overall concert experience like his. Can’t wait to see him again. Agree 100%. Can’t wait to see him at the end of this month… It gets no better! I now really like Hank III. Tippy and Willy, the dogs we rescued from the trash, agree. Everything the guy said in the happy tails video is 100% true and heartfelt. The man knows his pups. I support and volunteer at a no kill shelter here in new mexico and I support hank williams 3. Can’t wait to see him at the sunshine theater here later this month. very nice. cheers!!! if you’re in the market for a new pet member for the family, please, pick one up at your local shelter. Awesome show, loved the whole set. As always III was full of energy and gave more than our money’s worth. Hank III: original Rebel, all around good fellow, and a great band. Rock on Hank. See you at the show. Never heard a bad word about his live performance need to make it a priority to finally see hime live. I have a mixed viewpoint of HWIII: his image is so dark and self-destructive (which people are attracted to), but his music is very traditional country music; I would dare to call his music real country music. Whenever I am in a country bar, and the music turns into waay too poppy crap (Toby Keith, Cary Underwood), I will usually make fun of whats playing, and say ‘I’m going to play some real country music’. They laugh and act tough with fake southern accents, but then shut-up when HW3 kicks in. Fiddle, banjos, acoustic guitars; they aren’t used to hearing those instruments in a lower-fi format, and become deer in the headlights. It’s worth the extra buck or two to make HW3 the next song on the jukebox when country pop gets out of control. Even cooler to see he supports the ethical treatment of neglected animals. 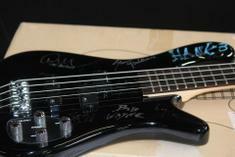 Thanks Hank3!!! I knew there was a reason I liked him. I am a rescue nut myself. The local shelter, strays or breed rescues on line, there are way too many dogs and cats that need homes.